I'm Laura and I'm a freelance illustrator. I completed a degree in Illustration at the University of Derby, graduating in 2008 and have since been working on various illustration projects. I got married in 2012, but kept my maiden name (Martin) for some illustration work. 'Originelle' is my company name. 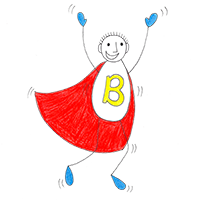 I illustrated my first book which was published in summer 2008 - 'A Brilliant Life' by Andy Cope, author of the bestselling 'Spy Dog' series for children. I have since worked on four further books with Andy: 'The Art of Being Brilliant', 'The Game of Life', a newer edition of 'The Art of Being Brilliant' and in 2014 'Be Brilliant Every Day'. The latest two books were featured in the WH Smith non-fiction chart. My illustrations also feature on Andy's website and on items such as t-shirts, posters and greeting cards. I do freelance work for two greeting card companies - design, card finishing, order management, and other essential admin tasks. 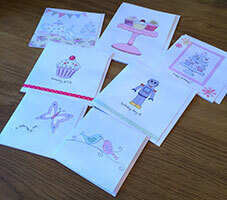 I also illustrate and hand-make my own greeting cards, and create them on request for special occasions. The cards are on sale in a local cafe and I also make them for family and friends. I previously spent around a year and a half working at The Greeting Card Association in London. I spent my time here talking to card companies across the country, writing and editing a section of the Progressive Greetings magazine and helping at a number of events including seminars and their AGM. I have also created illustrations that have been made into a series of iPhone apps where users can use the images as their wallpapers etc. Around Christmas 2010, Apple put one of my apps, "Christmas Wallpapers" as one of their featured apps, gaining worldwide attention and a sharp increase in downloads. Previously, I created craft activities for a local pre-school group. I led the session each week and the children took home what they had made. My illustration style tends to be mostly cute designs and fun images aimed at children, but I make cards for any age and occasion. To find out more about my work, see the portfolio section. If after seeing the sort of work I do you would be interested in working with me, please get in touch by visiting the contact page.